All of these solutions are tried and tested and will provide you with the necessary off-device storage. However none of them are a 100% failsafe solution. What you hear again and again is the essence of Mojo: “the camera you always have with you” You won’t always have your iPad/Laptop/HDD with you. You won’t always have access to 3G/4G/Wifi. So what are your options if you want to shoot discreetly – for extended periods of time, without resorting to slow and expensive cloud uploads or carting around more and more gear (making you less mobile). When Sandisk came on board as sponsors for Mojocon and opted to sponsor a product rather than financial support I was really delighted. I had read about the iXpand as well as a number of other lightning based external storage devices but hadn’t had time to buy/try any of them. Having got my hands on one at the conference I decided to do a quick unboxing of the iXpand to run through its features and to elaborate on its potential for Mojo-in particular for how it enables longer form content production with a discreet “pocketable” solution. 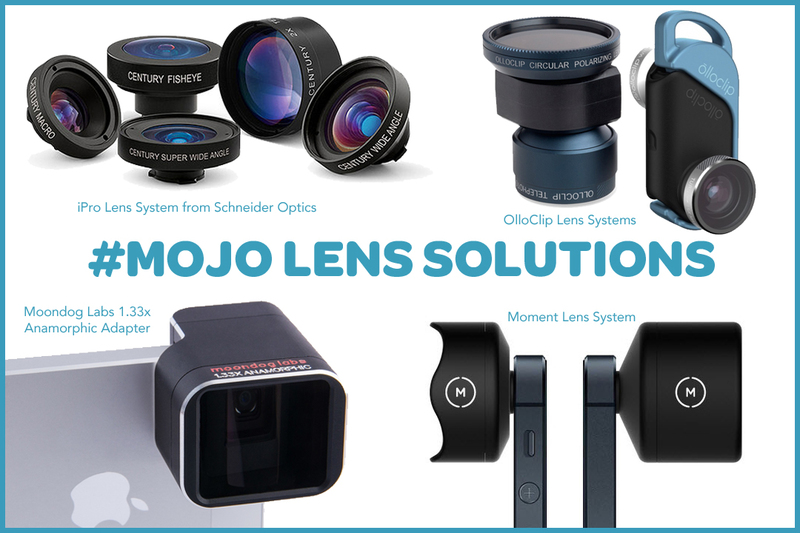 When you think about the recent audio solutions that have hit the market from Rode, Sennheiser/Apogee and Shure and look at the extremely high quality lenses now available from iPro (Schneider Optics), Moment, MoonDog Labs and Olloclip it really shows how far mobile journalism and content creation has come in the last 12 months. The quality and potential of this method of production is growing exponentially. Just think what 5G mobile networks, better optics and camera sensors and even more mojo accessories will bring with them in a few years!